In the second half of the 18th century, a branch of the royal family established itself in Bägemdǝr, and seized the rich land tenure of the parish of Atkana Giyorgis church. During four generations, until the end of the 18th century, women have been very active in buying, exchanging and transferring lands, cattle and slaves. They were the ones who managed the economic wealth of the family. They were also active in writing down these transactions, and a corpus of some 60 documents in Amharic reveal the complicated strategies that those rich women invented in order to protect their heritage and to transmit it according to their will. 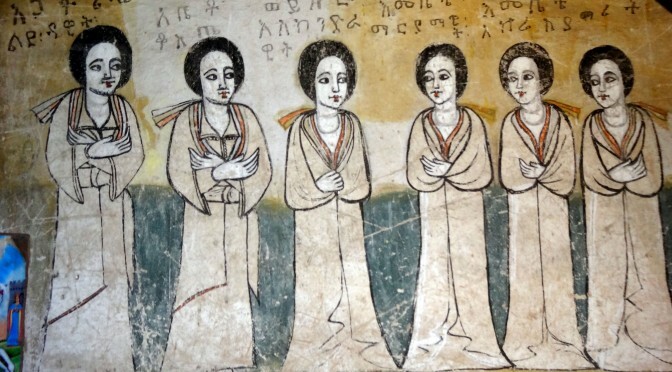 This study intends to present the privatization of church tenures in the mid-18th c., an economic and legal revolution that was accompanied by another innovation, the use of Amharic, the vernacular language, for keeping records of those transactions. If the first generation of these women did represent themselves on the mural paintings ornamenting the church, all of them disappear from the vivid oral tradition. Local memory forgets the rich female aristocrats of the Gondarine time but historians have plenty of sources to try to understand how women manage their economic wealth. Anaïs Wion est historienne, chercheuse au CNRS, à l’Institut des mondes africains (IMAF, UMR 8171). 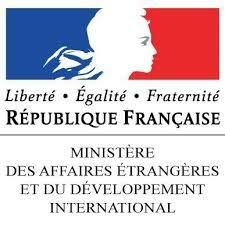 Elle est spécialiste de l’histoire économique, sociale et foncière du royaume chrétien d’Éthiopie à l’époque moderne / Anaïs Wion is a historian, researcher at the French National Centre for Scientific Research (CNRS), Institut des mondes africains (IMAF, UMR 8171). She is a specialist of economic, social and land tenure history in the Christian Kingdom of Ethiopia, early modern period. Organisateurs du séminaire / Convenors of the seminar series: Belete Bizuneh (AAU, History Dept. ), Thomas Guindeuil (CFEE), Margaux Herman (CFEE/IMAF), Angela M. Mueller (Hamburg Univ. ), Rahwa Mussie (AAU, Center for Gender Studies).